Thanks for your interest in Retford Lifesaving Club! If you’re interested in joining, or you have any general questions or comments, please complete the form below and we’ll get back to you as soon as possible. Alternatively you can stay up-to-date with news, photos and results on social media – you can find us on Instagram, Twitter and Facebook. Or if you fancy, please pop in and visit us! We’re at Retford Leisure Centre (DN22 7EA) every Saturday morning from 8am – 10:30am. Visit BPL’s website or get directions. 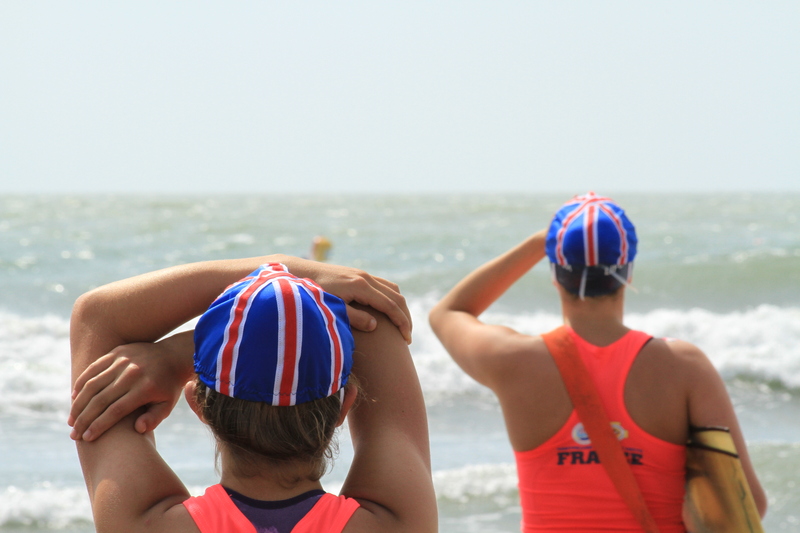 Competitors at Rescue 2014, the World Lifesaving Championships. Retford Lifesavers is a club devoted to training people how to be safe in, on and around water. We also offer a number of professional qualifications, and the chance to take part in local, national and international competitions. We do not have any age restrictions as a club, however some awards do carry a minimum age. You must be able to swim 50m with good style without getting tired, which we’ll assess at your first session. When are the training sessions? The normal training session is every Saturday morning 9am – 10:30am. We also run an optional fitness training session 8am – 9am, focused on improving swimming style, speed and stamina. What should I bring to my first session at Retford Lifesavers? Yourself and a light t-shirt that you will be able to swim in, as well as normal swimwear, a towel and a parent/guardian. Who should I contact to join the Retford Lifesavers? To join Retford Lifesavers, send us an e-mail (contactus@retfordlifesavers.com), message our Facebook page, or call Retford Leisure Centre on 01777 706500.
Who looks after me at the training sessions? Training sessions are split into groups based on age and awards. In these small groups the instructor supervises the lifesavers. The senior trainers Pete Moyes and Dave Morton supervise the overall training session, and will happily answer any more questions or queries that you may have. Retford Lifesavers follows recommended best practices to keep your data safe and secure. Visit our Privacy page for more information on what data we collect and how we use it.